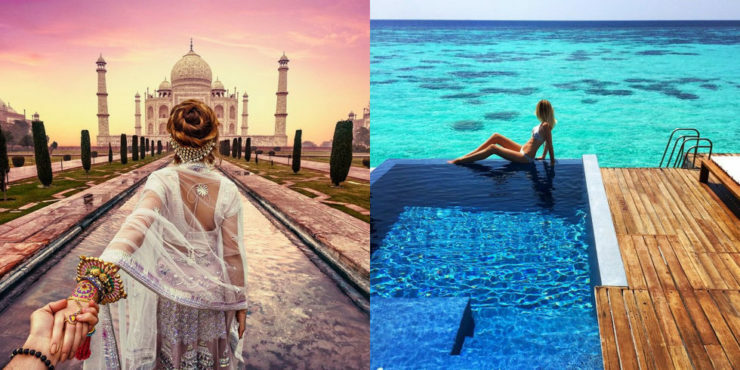 This Couple Gets Paid Crazy Money To Post On Instagram | OhGizmo! While experts have listed some ways to gain more followers on social media, funnily enough, another Instagram couple decided that the best method to rise in the ranks was to copy what Jack and Lauren did – literally. As you can see, these imitators have recreated not only the locations and outfits, but the same camera angle, poses, and captions. The photo might be basically the same, but the amount of likes is a stark contrast, with roughly 40,000 to 100 a typical score. But hey, can’t blame them for wanting a great life, can you? You can find Jack on @doyoutravel and Lauren on @gypsea_lust.